These easy frozen Rosé cubes (also known as Frosé) are a complete game changer! They’re the perfect, real simple solution for always having a cold drink by the pool. You can make them in big batches for a party, or to simply always have on hand when you’re in the mood for an ice cold glass of Prosecco (or any wine, really!). They’re also good for munching on with a spoon! They’re so good! Because of the alcohol in the Rosé, they don’t freeze rock hard like water does– they have more of a popsicle-like consistency. I use this large silicone ice cube tray (it comes in a 2 pack). The cubes fit perfectly into the rim of a wine glass and stay frozen longer than a traditional sized ice cube, and because of the tray’s flexibility, the wine cubes are easy to get out in one solid piece. However, feel free to use a traditional ice tray if that’s all you have. Fill your ice cube tray with a few pieces of fruit in each slot. My silicone tray has 8 large slots, and I put 2-3 pieces of fruit in each. Next, fill with Rosé until it’s close to the rim (it only expands a little when freezing). Cover with plastic wrap and freeze for at least 6 hours over night. You will likely not use the entire bottle of Rosé, so enjoy the glass that is left! 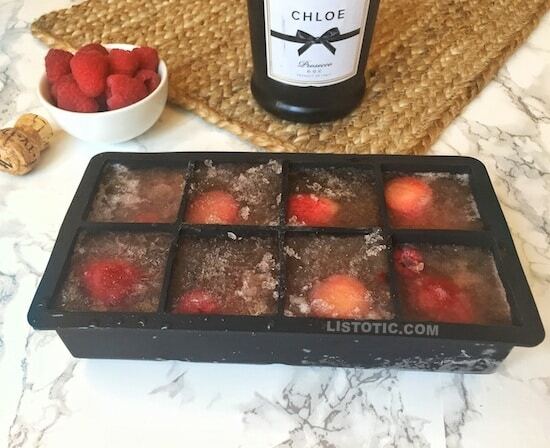 Once frozen, the berry Rosé cubes are super easy to take out one by one if desired! Simply place the tray upside down on a plate or cutting board and gently push on and manipulate the bottom of each slot. Place each cube in a wine glass and top with 4-6 ounces of Prosecco. Drink up! The flavor of the drink will slowly change as you get to the end of the glass. It’s so tasty! If you’re not familiar with Rosé, there are a wide range of sweetness levels, so be sure to ask for a good recommendation at the store. A lot of people falsely assume that because it’s pink, it’s sweet, but that’s not true! I prefer a good European (specifically French) Rosé because they are usually dry and crisp. If for some strange reason you’re not a Prosecco fan, you can replace it with your own favorite bubbly (Champagne, Moscato, etc.). 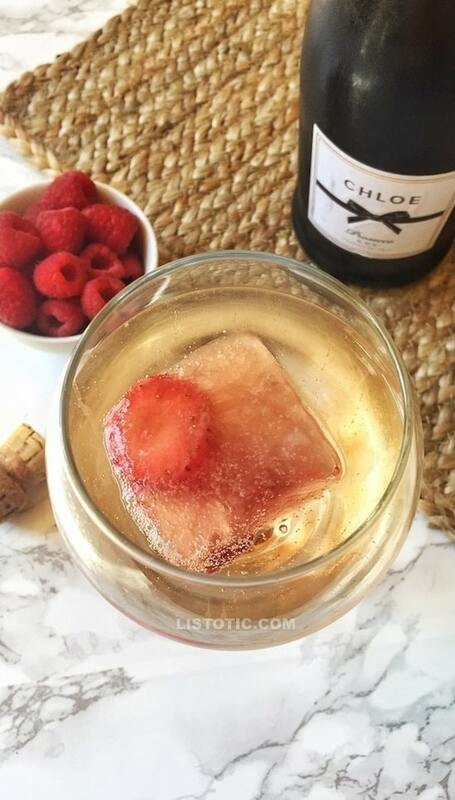 Because of the alcohol in the Rosé, the cubes don’t freeze rock hard. In fact, they’re perfect for munching on even without a drink! 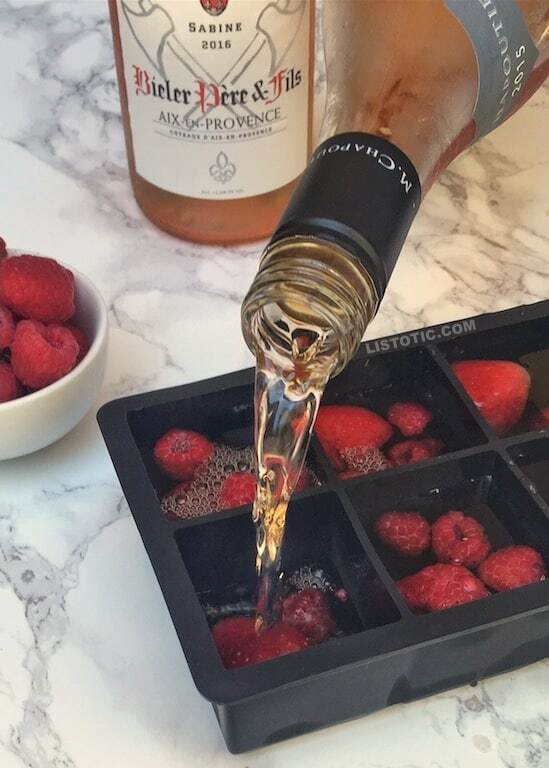 These luscious Rosé cubes will keep your drink super cold for much longer without watering it down! It’s the perfect summer drink by the pool. 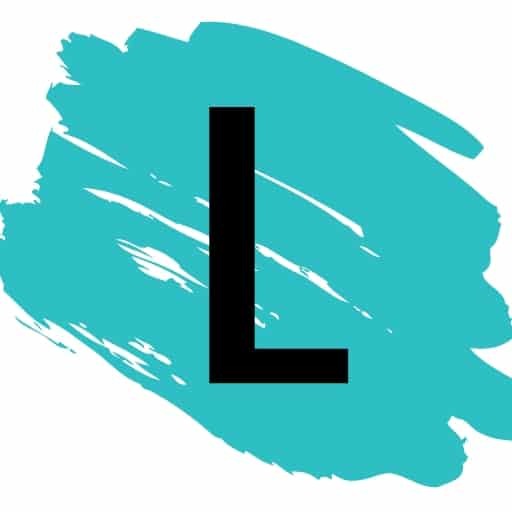 Don’t forget to follow me on Pinterest and Facebook for more delicious ideas like this.